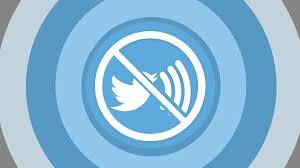 Twitter has added a mute button that will allow users to mute any particular user. Although the muted users will still be able to to fave, reply to, and retweet the Tweets but any of these activity will not be visible in the timeline of the users who has muted the other user. This new feature will be quite useful if a person you are following starts rapid-fire tweeting from an event you have no interest in, or is engaged in a prolonged public conversation that you’d rather not participate in.